Blackfriars Restaurant is planning a hearty three-course feast for Geordie footie fans to ‘wolf down’ ahead of NUFC’s home clash with Wolves, and thereafter for almost every home game. Blackfriars will open its ornate Banquet Hall to host a special Championship Lunch on Saturday, September 17 from 12pm, prior to the Magpies’ game against Wolverhampton Wanderers at St James’ Park, which kicks off at 3pm. Guests will enjoy a bottle of beer, cider, glass of wine or soft drink on arrival, before sitting down to a communal lunch in the 50-seat medieval Banquet Hall, which was built to entertain guests and nobles to Newcastle, and was the celebrated venue used by King Edward III to receive royal Scot, Edward Balliol, in 1334. 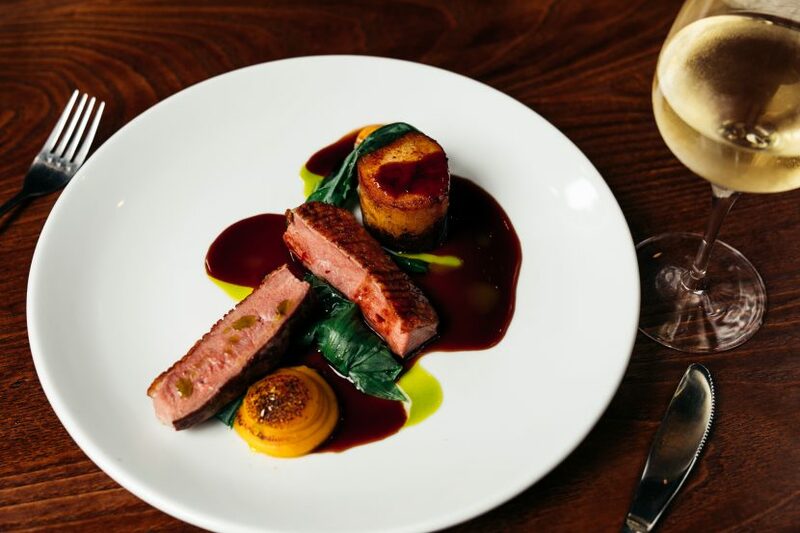 The lunch will feature a sharing board meat starter, followed by a choice of main courses – Pan-roasted chicken, peas and bacon; Slow-braised beef Wellington, creamy mash, stout jus or Pan haggerty, Savoy cabbage, sage and mustard cream sauce; all served with roast potatoes. For dessert, guests can choose from Chocolate and hazelnut brownie, praline ice cream; or sticky toffee pudding, salted caramel sauce and banana ice-cream. Lunch costs £22.50 each which can be booked and paid for in advance to enable a quick get-away and avoid missing kick-off! Fans can book online at www.blackfriarsrestaurant.co.uk/events/176/championship-lunch or by calling 0191 261 5945. September 17 will be the first Championship Lunch at Blackfriars over the course of the season. Owner Andy Hook said: “We’re really looking forward to hosting the first of our new Championship Lunches – and we expect that the Geordie faithful will no doubt be ‘hungry like the wolf’ ahead of NUFC’s home game against Wolves!